Promotional gifts are a great way for a business to show appreciation to their loyal customers and employees. They are also an effective way to attract prospective customer interest. In addition, promotional items provide inexpensive, wide-ranging advertisement, especially when the item is being carried, such as a tote bag. 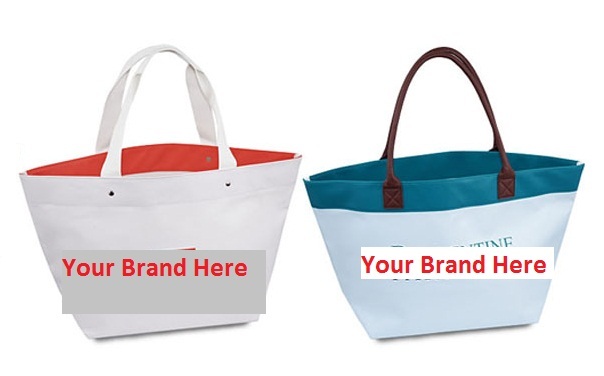 Large enough for a full day of shopping, errands, or a beach outing, an attractive tote bag might just be the most effective of all promotional gifts. What's more, their convenience and accommodating benefits make them ideal for men and women alike. While tote bags may be crafted of vinyl or plastic, canvas or cotton tote bags are of the most comfortable, flexible and durable varieties of tote bags. The feel of soft, natural cotton is reassuring as well as practical; and even quality cotton is relatively inexpensive. Canvas is rugged and reliable, perfect for carrying sports items, clothing, groceries, or everything necessary for a day of whatever comes along the way. If a sleepover is in the plans, a large, durable tote bag becomes an excellent carryall for all an individual's needs. While promotional tote bags are certainly available online, it behooves a business or sponsor to select an online business that provides quality as well as variety in their line of products. Giving a promotional tote bag should come with the assurance that it will have longevity and durability built in it. Sites like ToteBags4you.com, for example, feature a product line that offers a variety of designs and styles that are durable as well as practical and fashionable. On such a site you will find promotional tote bags with a zesty array of vibrant colors, stylish designs, and the availability of adding your business or corporate logo or special event on the outside surface of the item. With the right product line options, you can even choose a style of handle that suits your desired look. The appeal of convenience and chic styling are both equally important to the consumer; and promotional tote bags would seem to be the ideal combination of those qualities.